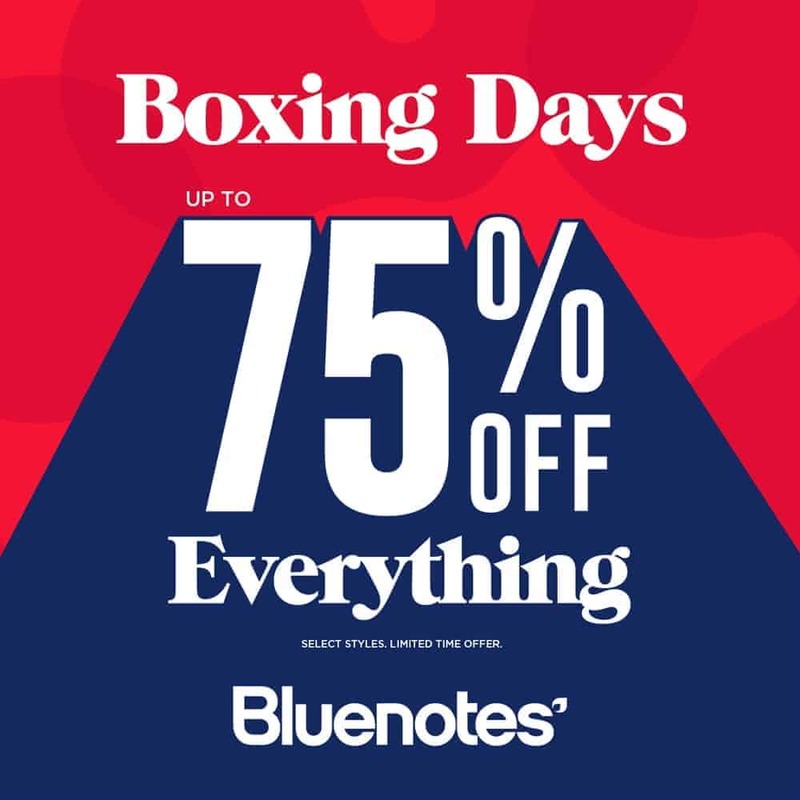 The Boxing Days Sale at Bluenotes! Get up to 75% off storewide, so come in early and don’t miss out! Select styles – some exclusions may apply.